Black will be better and red x on mudflaps ? Looks very good! Maybe fit them from the inside per factory fitment. But i think these mudflaps look very nice. Normally the plastic flaps should be quite flexible to,so they bend when you knock them (or put the C5 up onto its boot to say refit the chain for example) rather than snapping. I had a set once that were hard plastic and just snapped. Good job! [quote=Poze;1253]Looks very good! 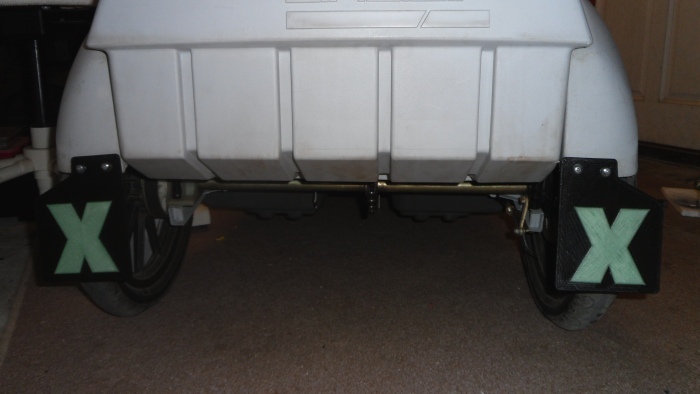 Maybe fit them from the inside per factory fitment. But i think these mudflaps look very nice. Normally the plastic flaps should be quite flexible to,so they bend when you knock them (or put the C5 up onto its boot to say refit the chain for example) rather than snapping. I had a set once that were hard plastic and just snapped. Yep I've snapped one already lifting the c5 into the car and you're right they do not bend. 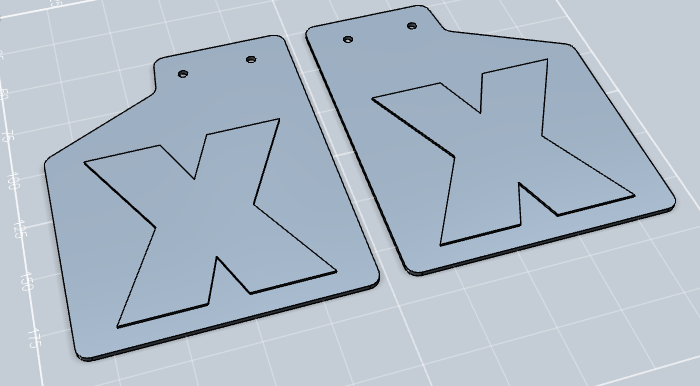 I think I will re-print them a bit thinner (1mm) then they are really flexible and the thickness doesn't really matter anyway with mud flaps.